It was a pleasure working with our friends at Great Leap Forward to produce a shiny new brand and website for their touring theatre productions company. 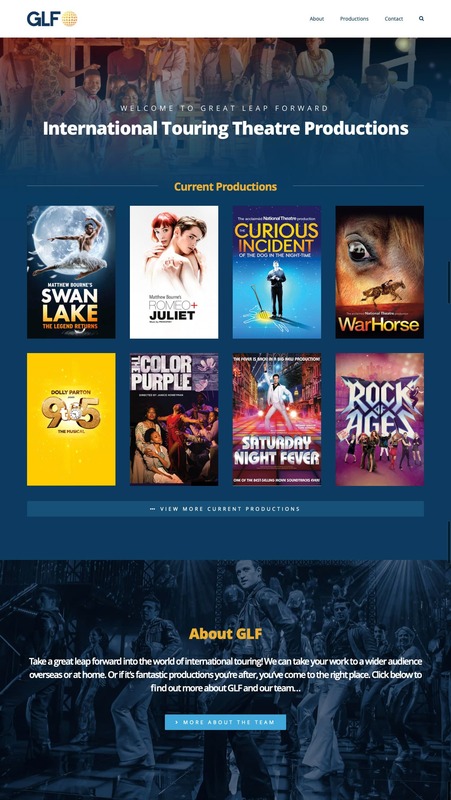 GLF are one of the most reputable touring theatre services in the UK, having worked on a host of shows, including Matthew Bourne’s Swan Lake; the National Theatre’s War Horse; and musicals such as Evita, Cabaret, Starlight Express, Jersey Boys, The Color Purple and Rock of Ages to name but a few. Freak Design gave their brand a complete overhaul and produced a lovely new website to boot.